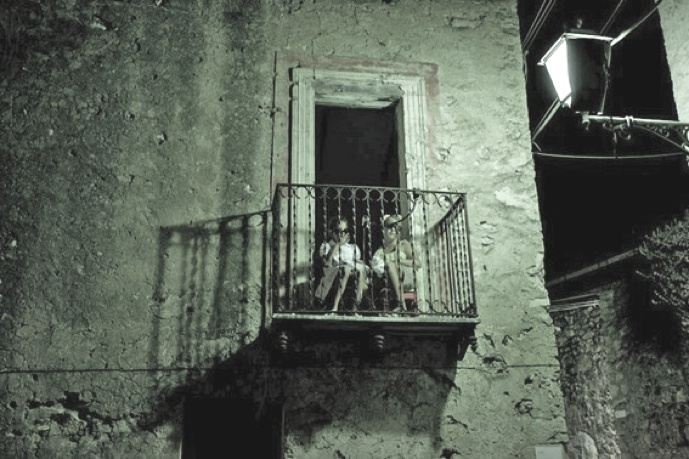 Wandering around the medieval village of Maranola, I was impressed by noticing very old ladies at the balconies of old buildings, constantly looking down at me, without saying a word. 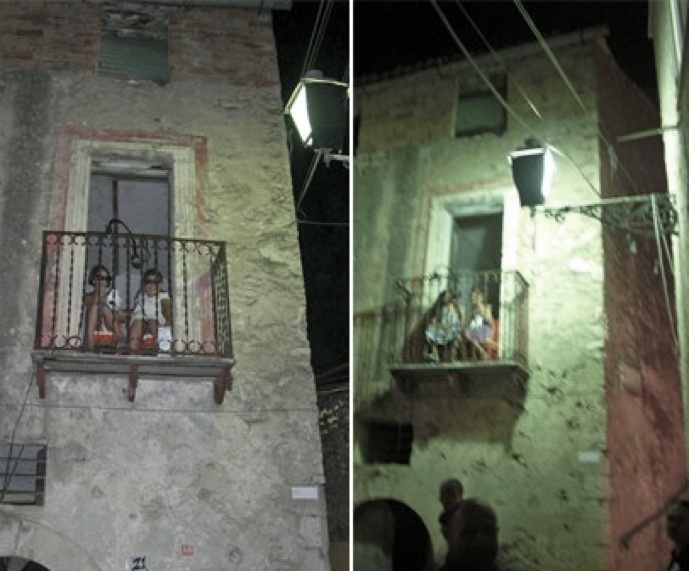 I decided to intervene in this typical italian social dynamic (so usual in old villages) by subverting it. 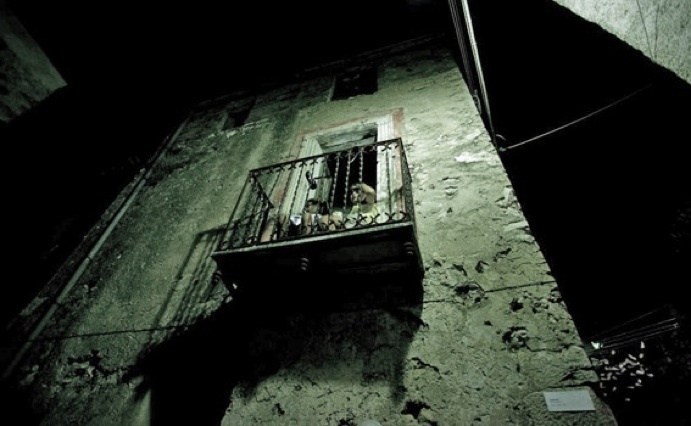 During the three evenings of the festival I put in the same position several couples of children from the village, aged between 6 and 10 years old; they spent 3 hours in a balcony every night. They were swapping every half an hour. My requests for them were: to wear 3D cinema glasses, to say whatever they felt like by looking the event from the balcony. They could express positive or negative opinions (not insults though!) 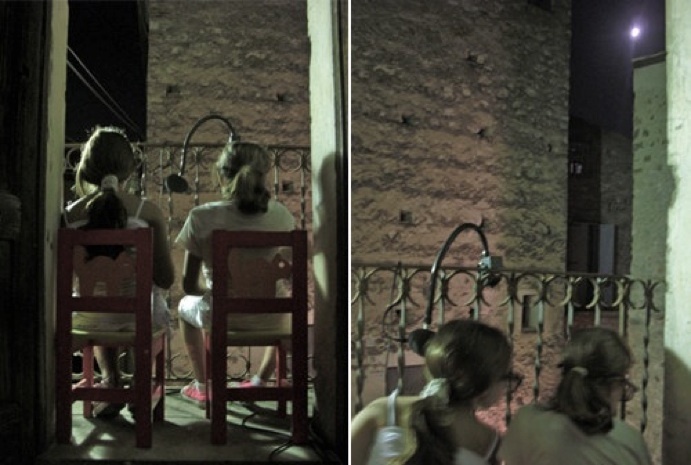 and their voices were amplified through microphones so everyone could hear their words. I stayed behind the window, making sure the children were comfortable and safe, offering them pop-corn and drinks, as usually happens when watching movies in an outdoor cinema. i Meravigliosi Bambini di Maranola , Silvio and Maria Teresa, La Marga.